Lightweighting. It is a concern for everyone in the automobile industry. The focus is of every participant in the industry is to build cars that are lighter, and in turn this “lightweighting” will result in better fuel efficiency and performance. While this concept has been a focus for a number of years, it has never been taken as seriously as it is now. 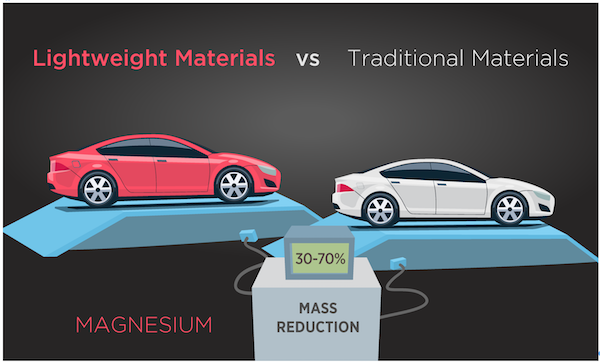 Lightweighting is a concern of every manufacturer – from OEMs to tier-1 component suppliers. What Precisely is Being Done? 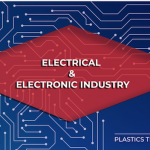 Every manufacturer associated with the automobile industry, including the plastic screw and fastener industry has taken on the challenge of this new innovation and growth. Industries have implemented programs, and innovative ideas across the board to achieve lightweighting, and the reason for the urgency is to achieve and meet future Corporate Average Fuel Efficiency (CAFE) standards. The options designers and component makers are turning to involve the use of materials like carbon fiber, plastic composites, aluminum foam, special steel and more. In our case, we now work on combining different composite materials into plastic fasteners, washers and bolts to give these plastic fastening items the strength needed to hold large and complex automotive parts together. The results are impressive. Many plastic composites have led to a high strength-to-weight ratio and the search for lighter parts has not been limited to any single type of part like the engine or transmission system or the use of any particular material. It is an overall, change occuring to every facet of the car build, from the lowly plastic fastener to the entire engine or base of the vehicle. The need for better fuel efficiency and more comfort also requires vehicle lightweighting to bring more environmentally friendly products to the market. The biggest challenge every contributor is finding, including our sector in the plastic fastener industry, is to make these materials stronger than even the current metal ones – all while using lighter materials like plastic composites. The idea is to make parts thinner but keep them safer as well. To make them formable so they can be used in innovative design but also ensure that these plastic composite parts, bolts and screws fasten together correctly, more efficiently and with more strength. We still have a ways to go to hit these targets. Only a few manufacturers are even close to a real target of lightweighting, but we are all compelled to engage in the development of this process. All plastic industry and automotive industry leaders are working to meet future emissions and fuel economy standards that will soon be implemented. What Difference Will The Public See? 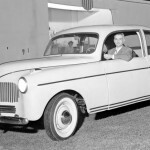 Over the past few decades, cars and trucks have changed into technological marvels, and we will see much more of this as cars march toward innovation and lightweighting. To many people it may not be as noticeable, but the use of plastics, composites and plastic blends are already a large part of the automobile makeup. Many of the parts already use some type of plastic and the instruments used to hold it all together, are not the metal screws and bolts we once knew. No. 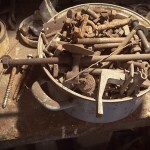 these old standards tend to rust out and break too easily. In fact metal screws in the car industry are fast becoming a thing of the past, as the new plastic screws and fasteners are made much stronger with composite plastic materials. Most cars currently on the road are made of about 50 percent plastic. Most everything you touch is made of some type of plastic composite. Even so, because plastic is much lighter than metal, plastic parts, fasteners, bolts and more only make up about 10 percent of the total car weight. The use of plastics and polymer composites, of carbon fiber-reinforced plastics, 3-D printed plastic parts, special printed fasteners, even parts and fasteners made of carbon dioxide now bring about improved strength, and in achieving this strength there is also an improved safety, a better design and enhanced performance. This brings us to a whole new era in the vehicle manufacturing and sustainability industry. Some automakers believe there is some potential in the use of 3D to create parts or entire cars using fewer parts. The future may indeed be in the customization and personalization of cars, taking designs to unique styles that can be built in days. This might even lead to improved sustainability. To a degree automakers already use 3D technology but only in prototyping to help speed up the design process. Today mainstream automakers are taking notice of the advances in the use of plastics. In fact, in 2017, Ford announced the testing of large scale 3D printing of certain parts and assemblies. Ford plans to make auto parts using special plastic materials made from carbon dioxide waste streams. This CO2 will be made into a foam plastic for seat cushions, seat backs, floor mats and other paneling and console materials. Researchers suggest that the inspiration comes from observing plants that take in carbon dioxide and create complex sugars. In this similar vein, they believe that excess carbon dioxide can make durable plastics to take on many uses in a vehicle. Of course, there are some stringent testing requirements and time needed to scale the idea into production. 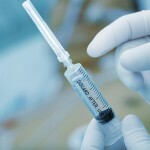 Even so they expect these new biomaterials to go into production over the next four years. Yes, these innovations are hard to believe, however, there is proof of what we are talking about. The two examples of vehicles that have used the best of this new lightweighting technology are OLLi and Spira. 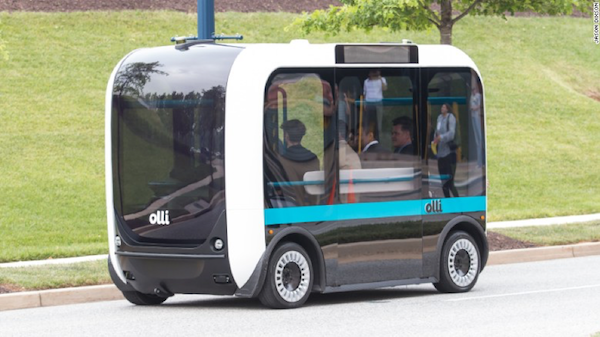 OLLI is a self-driving electric vehicle that was built with 3D technology and is currently used on public roads in Washington DC. The materials used for construction are acrylonitrile butadiene styrene (ABS) plastic and carbon fiber. This vehicle seats several people for ride share purposes. Riders can hop in on the route and ask for local hot spot information. Besides being lightweight and sustainable, the parts on OLLI can be recycled. This type of option is being considered as the next public transportation method. 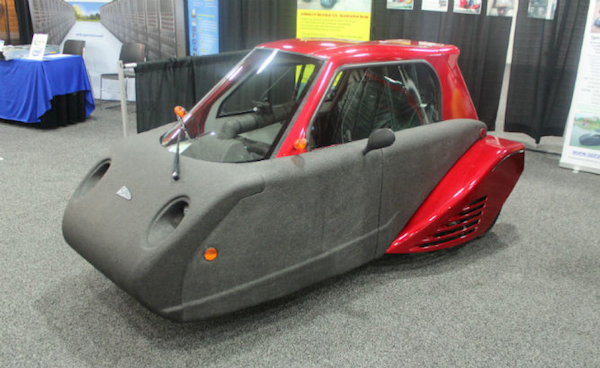 This is a three-wheeled car made of different types of plastics. 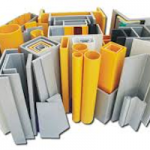 It is manufactured mostly of a type of fiberglass, ABS plastic, and thick polypropylene plastic foam. The manufacturers designed this vehicle for improved driver safety. Tested in several areas including crashes, the Spira was found to protect the passenger no matter how bad the crash is. What Does The Future Hold for Plastic Components in the Auto Industry? We have already seen significant advances with plastic technology in the automotive industry. It is this growth that has spurred advances in the plastic screws industry, helping us develop screws, bolts washer made with polycarbonate and plastic composites that create greater fastener strengths. Even as we speak advanced plastics are enabling innovation within the automotive industry. These new materials help improve design and performance, creating aesthetics that are bold, sleek and aerodynamic, factors which contribute to improved speed and handling. Need help with choosing plastic fasteners for your next project? Go ahead, contact us. We’re here to help! If you are a manufacturer and are considering plastics, be sure to evaluate your specific needs first. We specialize in helping manufacturers find the right fasteners, whether they be plastic or metal machined. While plastics are a wonder material, they do not always make sense in every application. If you have any questions about plastic fasteners we are here to help.